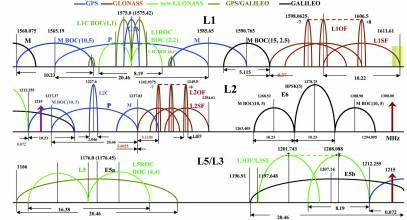 A provisional specification for the planned GLONASS CDMA signal has been defined and is available to receiver manufacturers interested in experimenting with the demonstration signal that will be broadcast from the GLONASS-K satellite to be flight-tested later this year. Mark Shmulevich, head of business development for Russian Space Systems (RSS), extended the offer at the Asia Pacific Economic Cooperation GNSS Implementation Team (APEC-GIT) meeting in Seattle, Washington, this week. RSS is an amalgamation of 10 former Russian federal state unitary enterprises — that is, government corporations — and other Russian institutes and agencies established last year, with the former Russian Institute of Space Device Engineering (RISDE) serving as the lead. The Russian GNSS program, which has 23 operational satellites on orbit now (including two spares), will launch two more sets of three GLONASS-M satellites later this year in addition to the first GLONASS-K satellite. The first triple launch will come around the end of August or beginning of September. The current constellation provides full-time positioning in the Russian territory and 98 percent coverage worldwide. Shumlevich cautioned that the “preliminary parameters” for the CDMA signal were subject to change and will not be incorporated into the GLONASS Interface Control Document (ICD) until all the technical details have been finalized. Nonetheless, he said, they would provide companies with an insight into the new signal design and a possible head-start on bringing modernized GLONASS equipment to market. Persons interested in obtaining more information about the CDMA parameters may contact RSS at <http://rniikp.ru/en/about/contact.html>. The July/August issue of Inside GNSS will include an article written by authors at the Russian Institute for Radionavigation and Time (RIRT) that discusses some proposals for the CDMA signal formats. 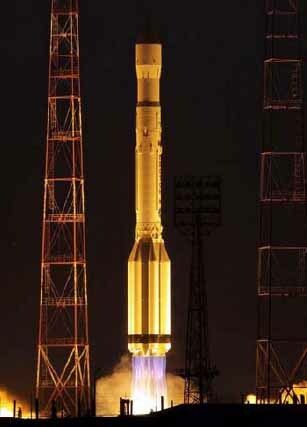 Planning is now under way for an extension of the GLONASS program that will cover the 2012–2020 period. The focus for the program is shifting from development of the core system space and ground infrastructure to service provision, market development, and enhancing capabilities, Shmulevich told the APEC-GIT audience. He described Russia’s plans to add 16 more reference stations in the GLONASS ground monitoring segment — 9 sites in Russian territory and 5 outside the country. GLONASS established its first extra-territorial monitoring station in Antarctica earlier this year. Shmulevich also revealed that the government has initiated an ERA GLONASS project — similar to the enhanced-911 (E-911) service in the United States and the eCall program in Europe, which provide automatic reporting of the location of mobile emergency callers. In the future, all vehicles used on Russian federal government projects or by government agencies, will need to have telematics equipment on board that supports positioning from GLONASS and potentially other GNSS systems to locate callers. In a conversation with Inside GNSS, Shmulevich also provided more details about Rusnavgeoset, the recently announced joint venture between Trimble and RSS, which will develop equipment and GNSS geodetic network infrastructure systems. The JV’s receivers are being co-designed by Trimble and JSS engineers and “localized” for the Russian Federation and Commonwealth of Independent States or CIS, former members of the Soviet Union. “They will not look like Trimble receivers,” he said. Rusnavgeoset will market its systems to the regional governments within the Russian Federation as well as the CIS nations, with the intention of eventually building up a modernized geodetic reference network integrating the various local networks into a common framework. has about 11,500 employees who bring expertise in Earth observation, sensor design and manufacturing, and other space-related technologies.